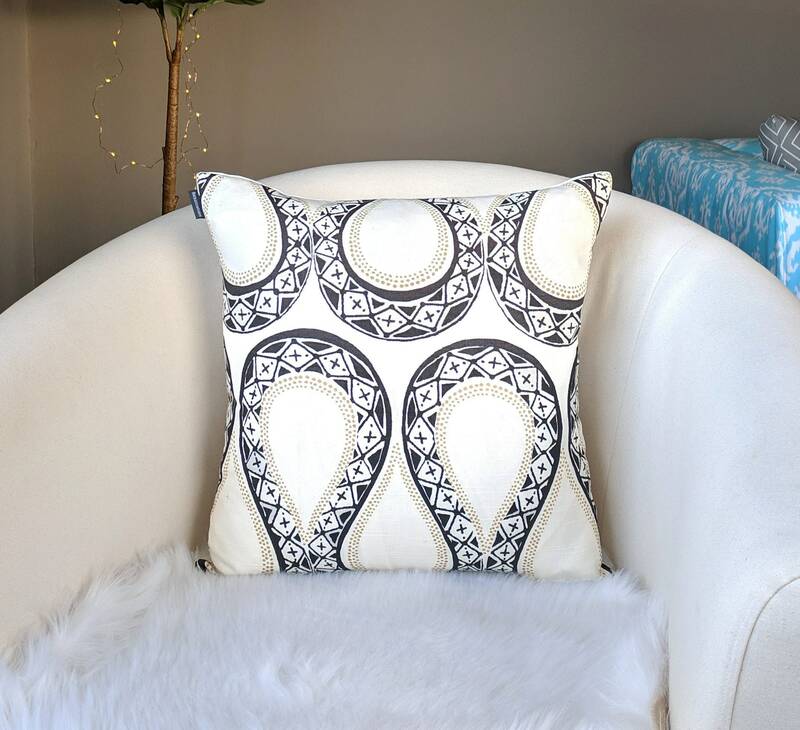 Tribal themed pillow cover in black and white! Other side is plain white. 100% cotton, measures 18" x 18"
Thank you! Love them and shipped fast!